It has always been our custom to ride the midnight trip from the Victory Liner station in Caloocan City to the City of Pines. We’d sleep off the five-hour journey and arrive at Baguio City right before dawn. We’d take a quick CR break at the station before walking along the city’s dark and empty streets with our jackets on, enjoying the pre-dawn chill, en route to our favorite first stop in Baguio, Goto BP. Located right below SM Baguio, at the city’s old bus terminal (which is still functioning, by the way), Goto BP has always been our go to place for our first breakfast in Baguio. It’s a simple open-aired lugawan right along the sidewalk of the terminal, complete with a white Formica bar and fixed wooden stools. The eatery, its name taken from the Baden Powell Hall (which is now the Baden Powell Inn)—the place where the Philippine Commission officiated the use of Baguio as the Summer Capital of the Philippines, is open 24 hours. One of the reasons why people flock this place day and night. Indeed, we never saw the place without customers. 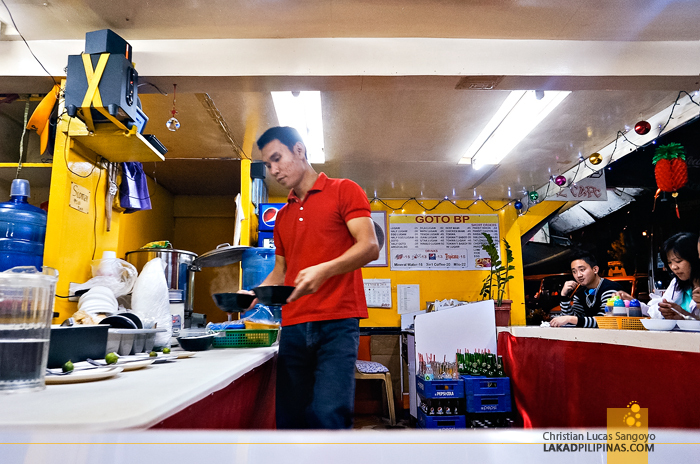 Besides the usual goto, lugaw and arroz caldo, they also offer noodles, rice meals, pares, lomi and mami. 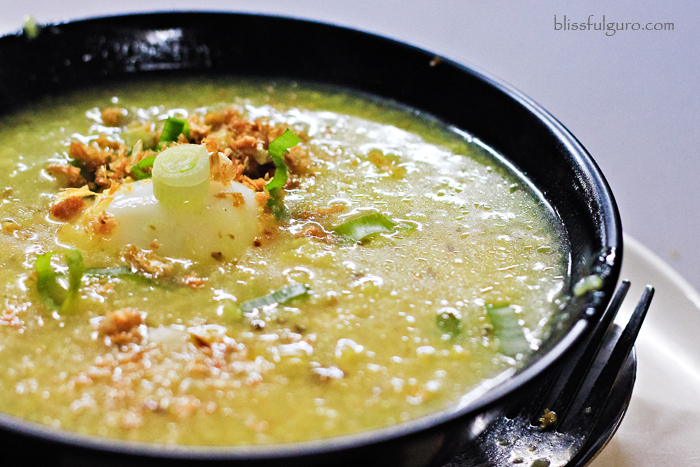 For their lugaw, you can have it with pork tongue, eyes, ears, innards or brains—depending on the level of your bravado, lol. Joking aside, these, shall we say, not so common pork parts goes quite well with a steaming bowl of rice porridge. 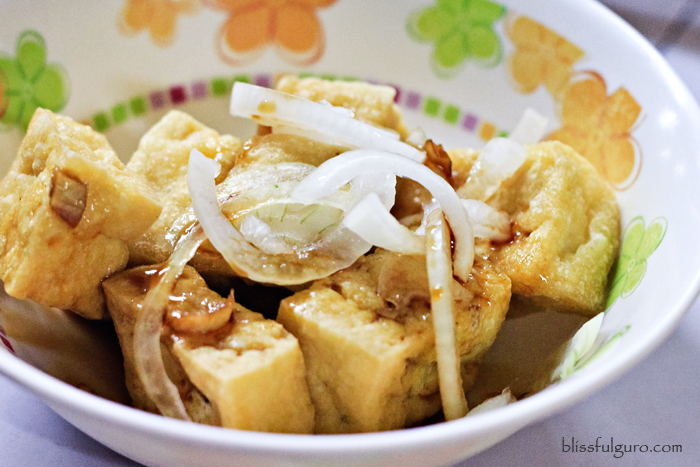 Pair that with a plate of tokwa’t baboy (fried tofu with chopped pork), and you’re all set for your morning. 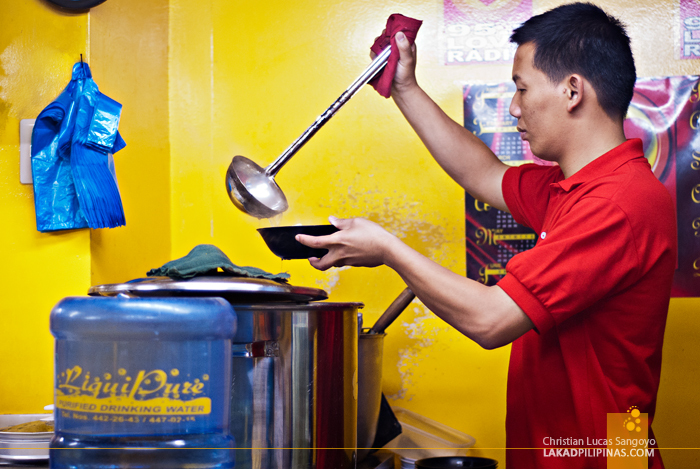 I have also tried their quirkily named rice meals, sixsilog and tatlongsilog, during a few of our outings at Goto BP. What these are are longanisa (sausage) with fried rice and egg. 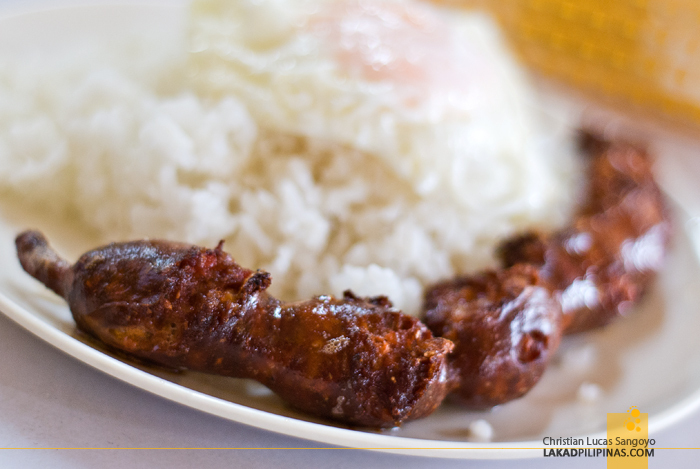 The prefix six and tatlo refer to the number of Baguio’s garlicky longanisa you want with your dish. I prefer sixsilog, of course. Goto BP’s location is, indeed, perfectly made for us. We go here as soon as we arrive in Baguio, and we also visit it on our following days in the city, late at night, right after our drinking sessions at 108 Session Road Cafe (which is just a few minutes by foot away). This place has perfect recovery food for cold Baguio nights.